A prosecutor in Spain's National Court may have been linked in an espionage plot against Catalonia's former president, Carles Puigdemont, according to a Belgian investigation. A Belgian police investigation, which the Catalan News Agency (ACN) learnt about from sources in that country, reveals that prosecutor Carlos Bautista Samaniego was in a hotel allegedly linked to a spying operation against the politician that started in late January 2018. 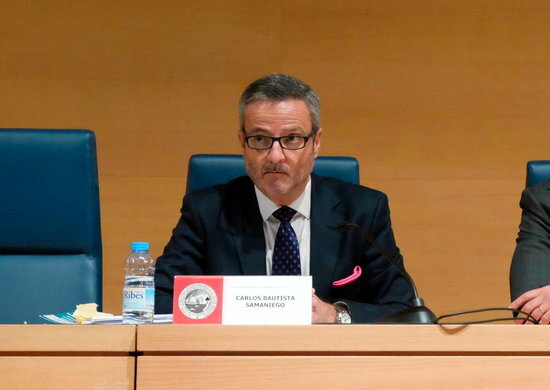 Samaniego is regarded as one of Spain's top experts in European arrest warrants. Another person allegedly linked to Spain's justice ministry, a Spanish businessman, and three IT technicians were also in the same hotel, police in Belgium reported in their investigation. A Catalan police officer guarding Puigdemont spotted a tracking device in a vehicle used by the former president on February 7, 2018, specifically stuck under the rear bumper. The next day, Belgian police spotted a second device in the engine of another vehicle used by Puigdemont. The alleged espionage plot was unofficial, without the permission of the Belgian authorities, as included in a report by a parliamentary committee on security services that ACN has learnt about through sources close to the report. The investigation considers the operation to be linked to Spain, but some sources don't rule out that it may have been launched without the consent or awareness of the Spanish authorities. So far, the Belgian court in charge of the espionage case has refused to investigate further the prosecutor Bautista Samaniego, or the other individuals allegedly linked to the events, on the grounds that there is not enough evidence. Yet, the ruling is pending an appeal by Puigdemont's defense, ACN has learned. Sources in the Spanish general prosecution deny any wrongdoing by its attorneys. Meanwhile, sources in the Belgian prosecution refuse to comment on any meetings with their Spanish counterparts on the days mentioned in the investigation. From Puigdemont's defense, they say the espionage events are "serious" but refuse to comment on judicial procedures. In February 2018, the Catalan politician's team and the Belgian police spotted two tracking devices in Puigdemont's vehicles. These kinds of devices work with a SIM card that communicates with mobile phones and other devices. Altogether eight SIM cards –all with British numbers– were in touch with the two trackers. These cards were used in devices that included three Alcatel phones. One call using one of these SIM cards was to the switchboard of a hotel chain in Brussels on February 1, 2018 –the same chain where the prosecutor and the other individuals stayed. According to the investigation, this "proves without doubt" that the hotel was involved in the case. However, a judge has considered this is not enough to demand the prosecutor to explain why he was in Belgium. The alleged espionage case revealed by ACN refers to late January 2018, and coincides with Puigdemont's bid to be reinstated as Catalan president at a distance, something which was frustrated by Spain's judiciary. Those days the checks between the Catalan and French borders were enhanced. These supposed events happened two months before Puigdemont was arrested in Germany. Spain's police said at the time that his detention was the result of a collaboration between Spanish and German authorities - yet Berlin denied it. The operation behind his arrest is still not clear.